Lauren YS is currently the artist in residence at the REM Burrow! 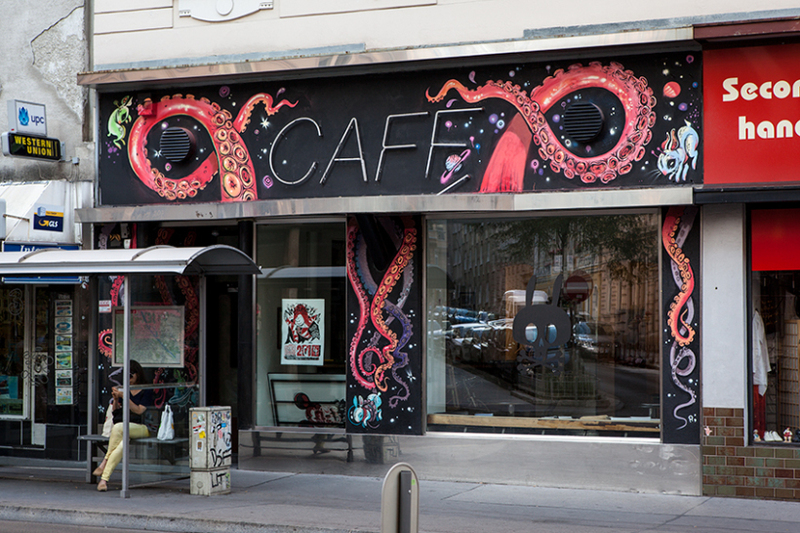 An illustrator and kraken enthusiast from Colorado, Lauren now works doing fine art, freelance and murals in San Francisco. 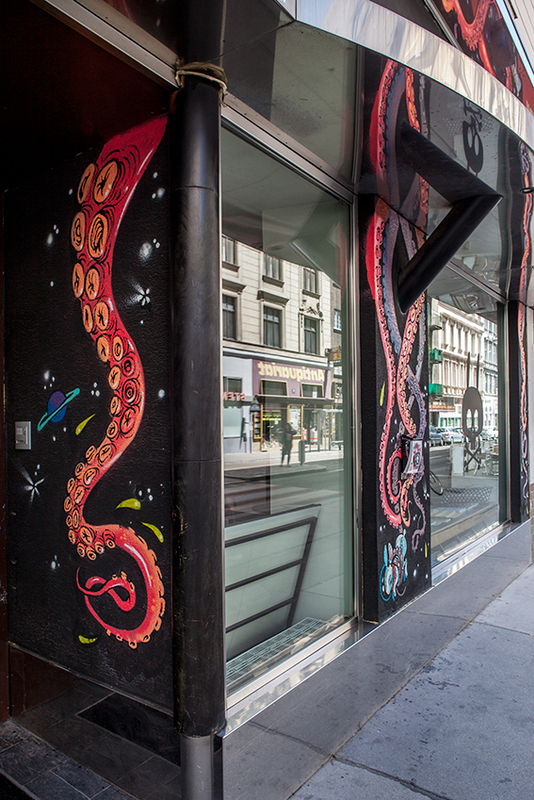 This week she’s begun populating the facade of our art space with space-bunnies and tentacles.. Feel free to come over to Gumpendorferstrasse 91, Vienna, to have a look and say hello! Look out for some t-shirt designs and a print release in the coming weeks.